Chickweed has a host of “good for you” properties–the Indians knew of its healing powers.You can use it as a poultice, tincture, salve, and even eat it in your salad. 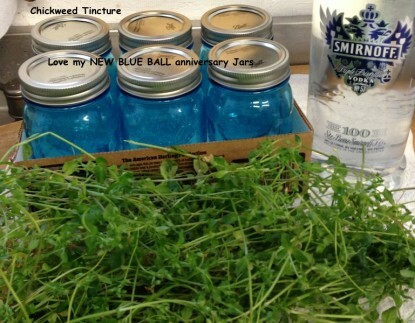 Today, I’m making Chickweed Tincture with my new Ball BLUE glass pints. 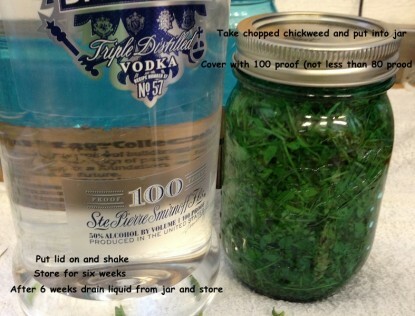 You will need: 100 proof vodka/alcohol–nothing less than 80 proof, clean glass jars, knife, and good old chickweed. 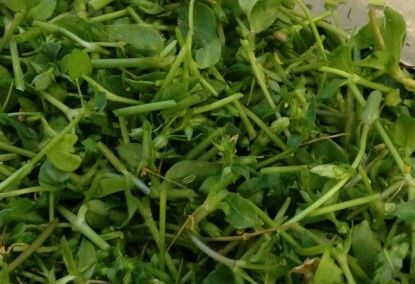 Wash and dry your chickweed then chop it up. Put into jars and pour alcohol over it. Be sure to cover with the alcohol and then put the lid on. Let sit for six weeks then drain the liquid from the tincture and bottle. Chickweed tincture is used for inflammation, conjunctivitis, asthma, bronchitis, and arthritis as well as weight control. This weed’s young shoots are edible and taste like spinach to me. They are packed with nutrition like vitamin C and gamma-linolenic acid, which is great for healthy skin and hair. I just add 15 to 20 drops to some orange juice and take it before I go to bed. It also helps you (at least me) sleep! 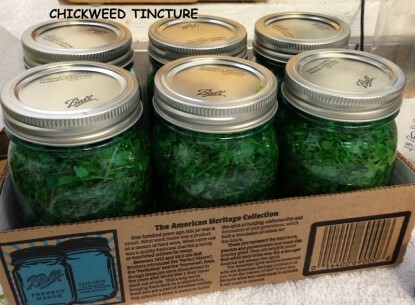 Editor’s Note: This post is only about a method to make a tincture. If you choose to use this (or other tinctures), please thoroughly research how and when it may be appropriate to do so. The ideas about how it might be used are to spur your interest, not to suggest that anyone should use it in any specific situation. 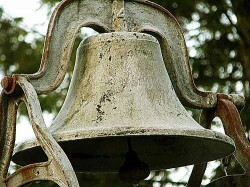 See Farm Bell Blog Submissions for information and to submit a post. Conjunctivitis????? You would put infused vodka in your EYE? Thanks for the information. I will be saving it for next spring when my chickweeds appear. They’re all gone for the year now…. That would be very expensive if each jar had so much vodka! As far as being expensive, I made six, but you only make what you need. Also, you pack the chickweed in the jar- tightly, so you really aren’t using 16 oz of vodka in the jar- My jars probably had about 7 ounces of vodka in them. Also, before you do ANYTHING with herbs/weeds you need to do your research as our Laura P says– She’s right! Sounds like a good, general method for making a tincture of anything! Thanks, Sharon. Where can I find chickweed? Pasture, Healthfood store. side of road?